I know I talk a bunch about the products in2food carries....but that's because we have some really good ones! So now I want to fill you in on a new one....Magic Decor! I cannot even count the amount of times a bride has asked me to incorporate lace from her dress into the cake.....probably a million! ;) This stuff makes my job a whole lot easier. 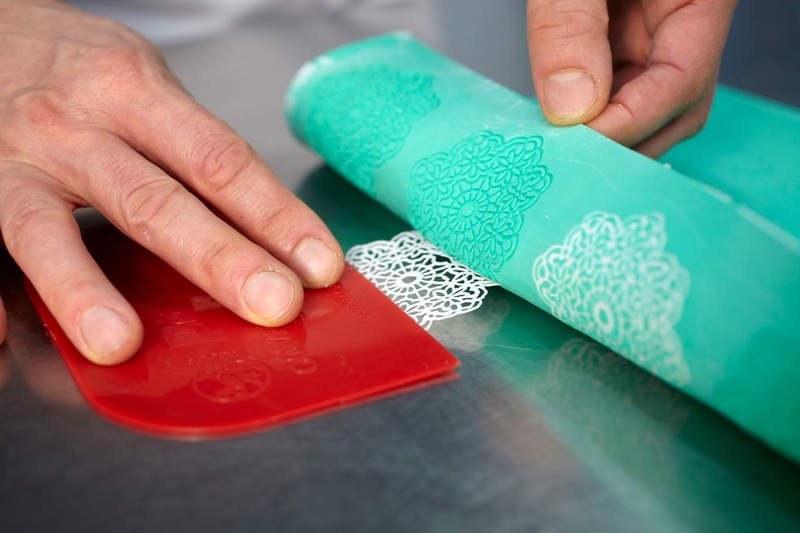 Now there are a few edible lace products on the market, but this one is the easiest to work with. It can be baked for 6 minutes in a low temp oven or dried at room temp for 3 hours. No more waiting overnight!! 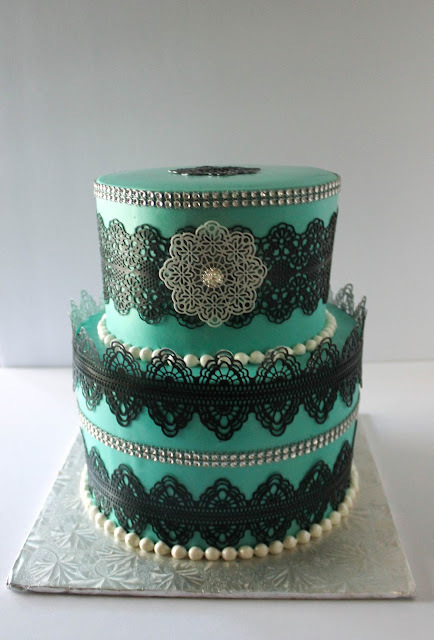 So let's make a fashion cake shall we! 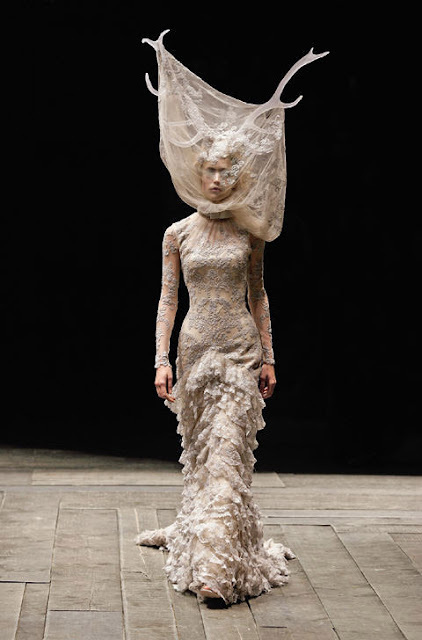 There is fashion inspiration for days. Magic Decor is very simple to make. You just add water, stir until thickened, and spread into the mat! This is one of the mats. They are thin and very detailed. Once the product is mixed with water, you spread it over the mat. I used a small offset spatula to spread it around. Once the mat is covered, I use a bowl scraper to remove the excess. Make sure all the excess is removed! The only white you should see is the design itself. Now bake at 180 degrees F for 6 minutes. The package comes with instructions on how to bake. I had to adjust it for my oven. NOTE* This will vary for everyone. All ovens heat differently. I messed up the first couple of attempts until I got it right. If you let it bake for 6 minutes, and it's still a bit wet, leave it for a couple more. Pull the finished product out with the mat up side down. This will allow you to pull the mat and not the lace. The lace is durable but you don't want to take any chances of it ripping! The lace is flexible and will wrap around a cake easily. 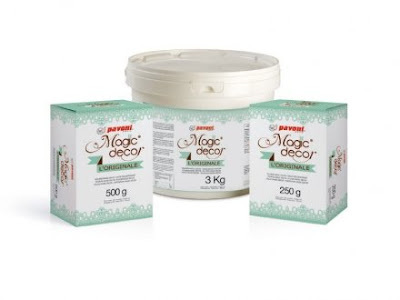 Once you have made the Magic Decor lace, store it in an airtight container until you are ready to use it. Otherwise, it will dry firm after a day or so and be stiff. I made the lace in white but you can color the mix. I prefer to airbrush it. A big thanks to America Cake Decorating Magazine for publishing my Mustang Robot Cake for the Rev Heads collaboration. He was fun to make. Another huge thank you to Dessert Professional Magazine! 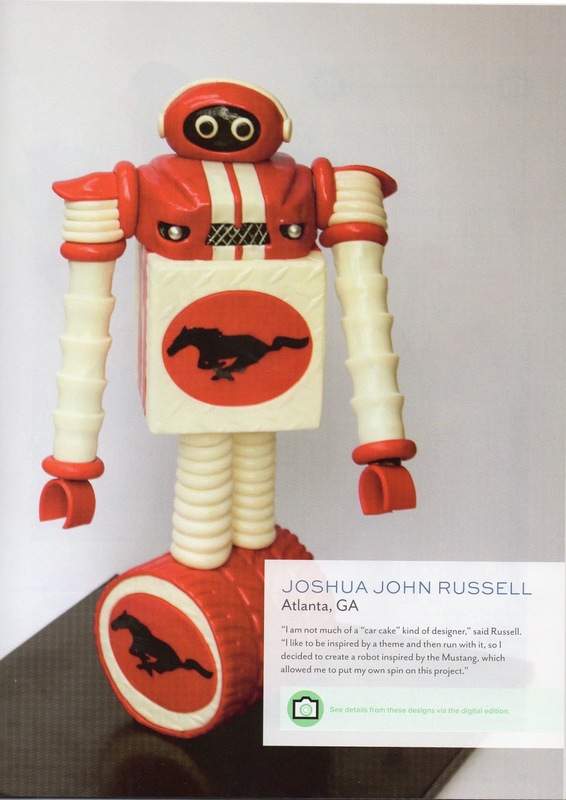 I was named one of the top ten cake designers in America! Woo Hoo!! 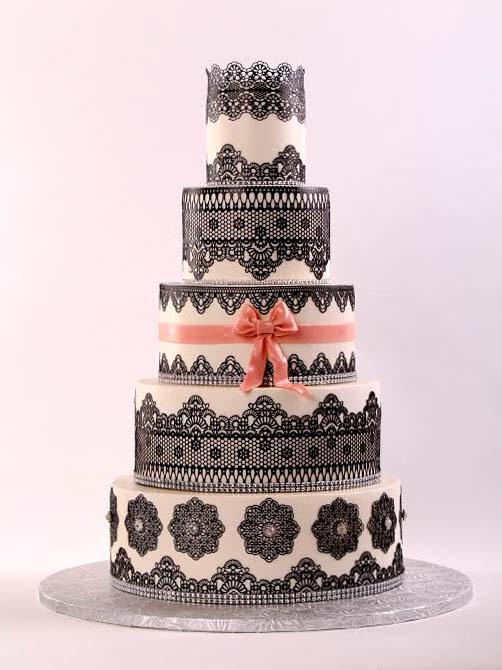 Speaking of Magic Decor....I will be teaching this cake at Nicholas Lodge's fall open house in November. 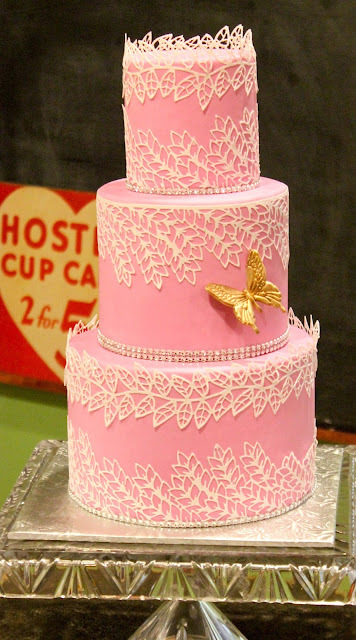 Click on the cake for info. Bye! This is why they are so expensive! 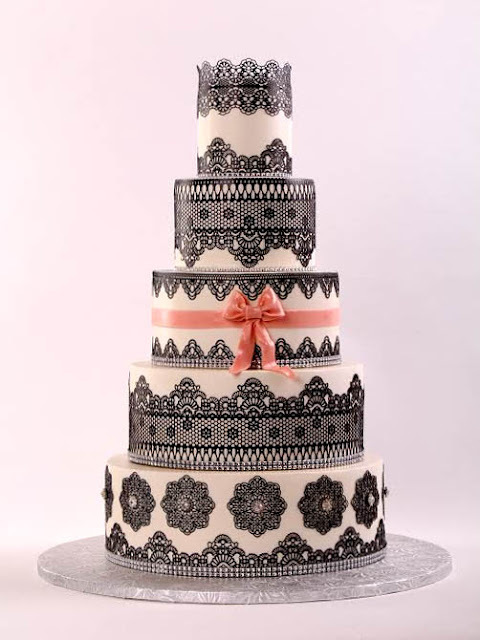 The same amount of time and effort goes into a cake....especially a wedding cake. That is why we charge the prices we charge! 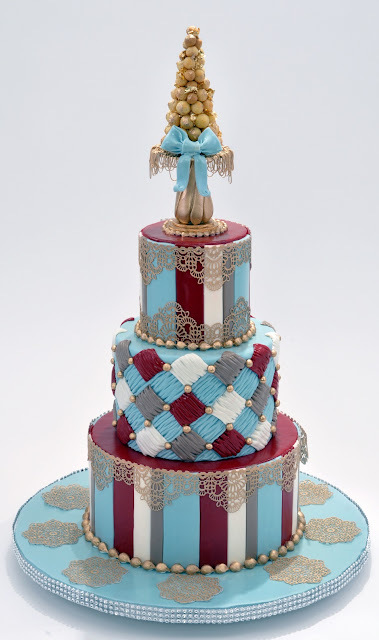 A couple months ago I was asked by Cake Central to create a cake based on this Chanel look. Cool right? 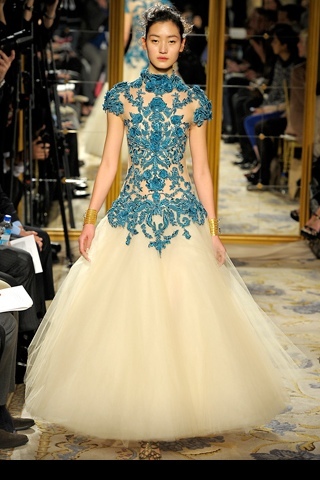 It's like a hipster's version of the little black dress. I was drawn to the colorful square tiles...so that's exactly where I took my inspiration. As I have mentioned before, I work for a food importer, in2food. 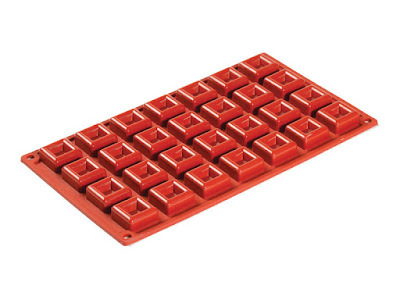 We carry a line of silicone molds from Pavoni and I have the perfect one for this project! So I want the idea of the tiles, but I don't want to just cut out squares. I need some dimension! 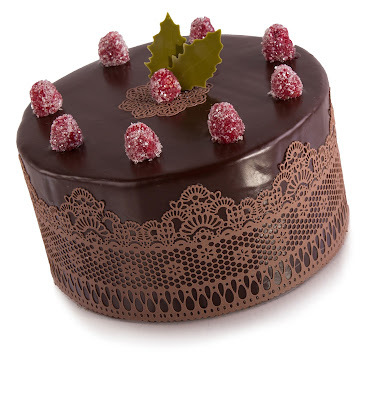 I am going to make truffles in this mold to use as my decoration. I think spatter paint is the way to go. I have loaded a couple piping bags with colored chocolate. Now I cut the tip and splatter the chocolate into the mold in a random pattern. Here is another one I did in purple and green. Now before you fill the mold with chocolate, scrape off the excess colored chocolate. Now make the truffles and once set, turn them out. Ta Da! !....the tiles are born. I just used chocolate to glue them to the fondant. She came out pretty good! You can see I tried to vary the colors of the tiles to get a fun and avante garde kind of look.